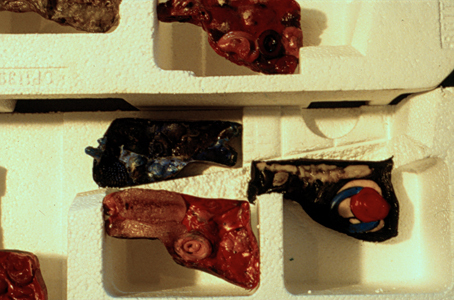 Experiments with Melted plastic and packaging - photographed in the empty Observer building adjacent to Claremont. 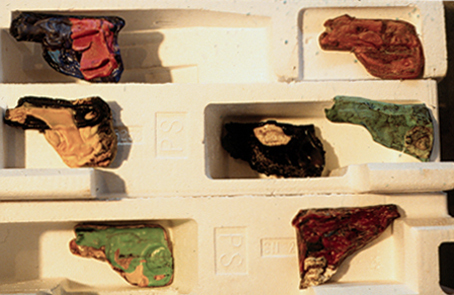 'We employed techniques which were directly expressive of form, movement, gesture and cognitive engagement including direct methods of casting, mark making and painting. It was our intention that each child would have unaided access and engagement with the range of methods and media we employed. As far as possible we try to avoid being prescriptive'. 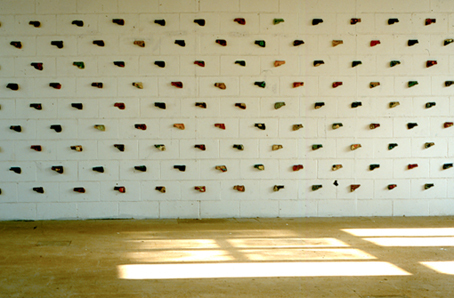 Following the exhibition much of the work of the work was permanently installed in the schools.